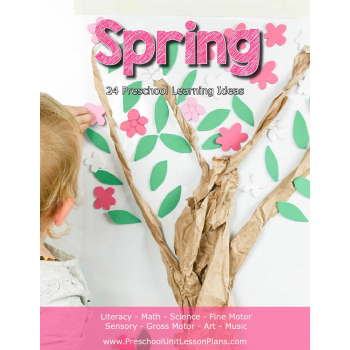 Teach your toddler or preschooler basic 2D shapes with this spring math printable! Your little one will learn about circles, triangles, and squares. 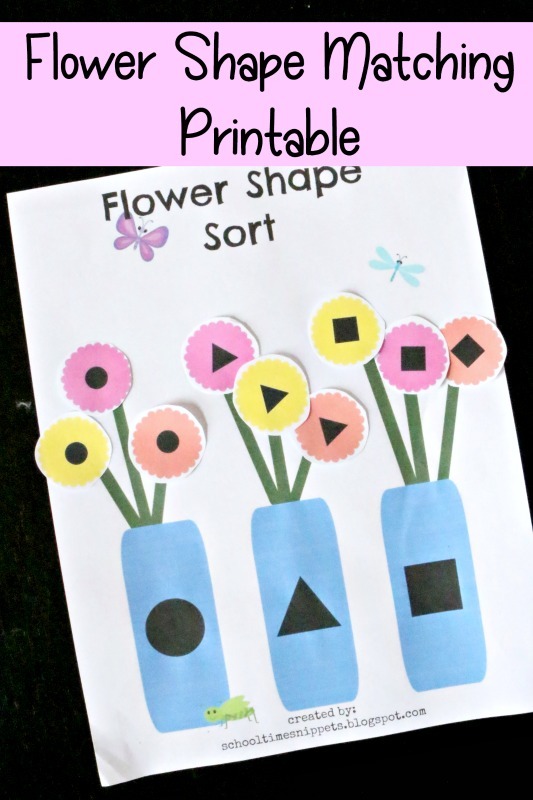 Just print and match with this Flower Shape Matching Activity! 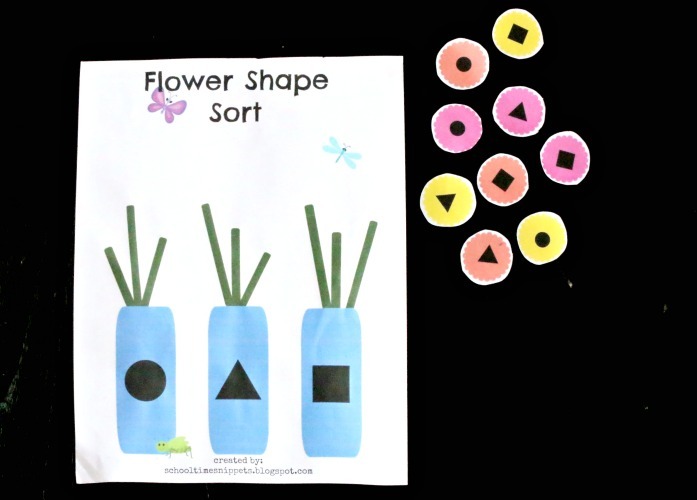 A few months back, while focusing on the Letter F in Tot School, I made a shape sorting activity using some printable flowers and a little free hand action. Little Sis was to sort the flowers to the right vase by matching the shapes. My little girl loved this and so I thought I'd try my hand at making it into an activity to share with you! Amazon affiliate links are provided for your convenience at no extra cost to you. 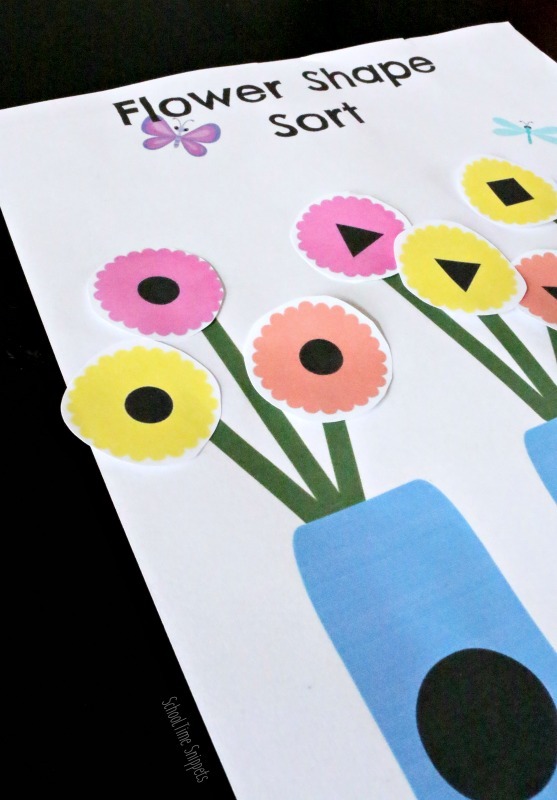 This low-prep matching activity can be made into a file folder game by attatching velcro to the flowers, or use this printable one time and have your little one glue the flowers to the correct vase. Once you have printed out the worksheets, take some time to prep the activity by cutting out each individual flower. No need to cut exactly along the edge of the flower-- a simple circle cut will do just fine! There are 9 flowers all together; 3 of each shape. Your child's task is to match the flowers to the correct vase. Each vase has a shape on it; one has a triangle, one has a square, and one has a circle. 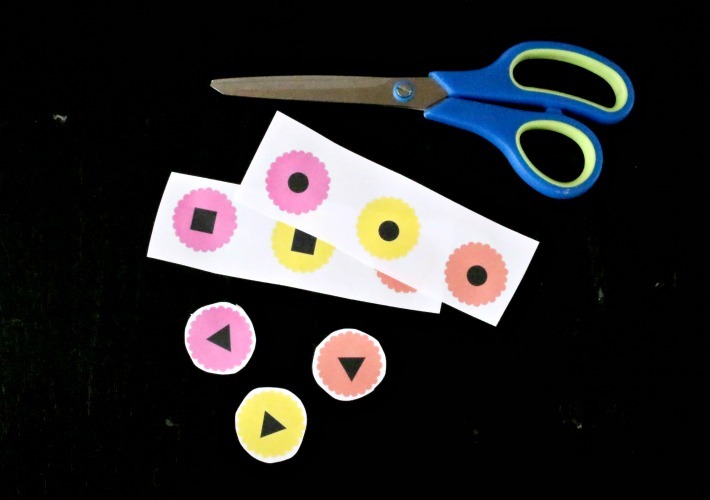 This hands-on activity is a great way to introduce and teach your child basic 2D shapes! Each vase will have three flowers- one of each color. As your child is matching each flower to a vase, talk about the attributes of each shape. A circle is curved and has no starting or end point. A triangle has three corners and three sides. A square has four corners and four equal sides. If your child is up for the challenge, have him/her find an object in the room that is a circle, triangle, and/or square! 12 comments on "FREE Flower Shape Matching Printable"
Very cute! I'm pinning to use with my toddler when he's ready. Laminating it and adding velcro dots would make it even more fun. Anna, that is a great idea! Thanks for commenting and sharing on Pinterest! Wow. This is a great idea. Will list this as one of the 'to-do' when we are at Letter F.
These are super cute!! My kids will love this! Great job! Thank you! I hope your kiddos enjoy : ) It was fun to put together! Adorable! Going to make these for the toddlers at the daycare I teach preschool at! Thank you! Your welcome! Please let me know if there is any type of issue... it was my first printable shared with you! Love it, very nice printables. I am featuring this on iGameMom http://igamemom.com/2013/08/09/app-went-free-ancient-greece-by-kids-discover/ - thanks for sharing at Mom's Library.